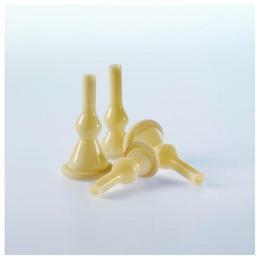 The Freedom Cath is a self-adhering, one-piece latex catheter for secure, everyday use. It combines a comfortable latex sheath with a wide, water-tight adhesive seal. The external catheter is applied by simply rolling it on, eliminating the need for adhesive tapes. The added feature of a reservoir bulb prevents back-flow of urine.It is available in three standard sizes: Medium - 28mm - (Red) Intermediate - 31mm - (Green) Large - 35mm - (Gold)and is available in Small (23mm) upon special request.